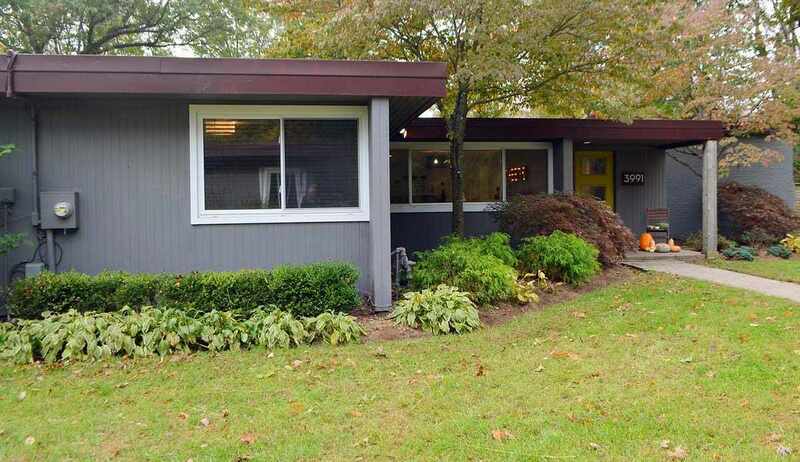 AMAZING MID CENTURY MODERN RANCH HOME IN BEDFORD TOWNSHIP OFFERS 4/5 BEDROOMS & 3 BATHROOMS!! AS YOU DRIVE DOWN THE PRIVATE DRIVEWAY YOU&apos;LL ENJOY THE STUNNING VIEWS & THE RAVINE LOT!! THIS FRANK LLYOD WRIGHT INSPIRED HOME HAS BEEN TOTALLY UPDATED*AS YOU ENTER THE FOYER THE HOME GREETS YOU WITH IT&apos;S OPEN FLOOR CONCEPT & FLOOR TO CEILING WINDOWS!! 3 WOOD BURING FIREPLACES, TILE FLOORS, HUGE KITCHEN ISLAND & SNACK BAR, STAINLESS STEEL APPLIANCES & FORMAL DINING AREA WITH UNIQUE MODERN LIGHTING!! PRIVATE MASTER SUITE OVERLOOKS THE REAR YARD & HAS AN ATTACHED MASTER BATHROOM!! ADDITIONAL BEDROOMS & BATHROOMS ARE LOCATED ON THE OPPOSITE SIDE OF THE HOME OFFERING A TRUE SPLIT FLOOR PLAN!! DEN/OFFICE OR 5TH BEDROOM*21x12 COVERED PATIO W/CEILING FAN FOR THAT TRUE INDOOR OUTDOOR LIVING!! CITY WATER/SEWER & PRIVATE WELL FOR SPRINKLER SYSTEM*3 CAR GARAGE IS HEATED & COOLED!! EASY ACCESS TO FREEWAY LEADING TO TOLEDO & ANN ARBOR!! GREAT HOME FOR ENTERTAINING! !